Hammerite Rust Remover Dip is specially developed for the safe and effective removal of rust from metal items. Ideal for car parts, nuts, bolts and garden tools. Just immerse rusty items into the dip and a couple of hours later they are rust-free. Hammerite Rust Remover Gel is specially developed for the safe and effective removal of rust from metal items. 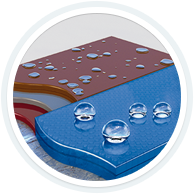 The non-drip formulation is ideal for vertical surfaces. In just 2 to 3 hours it removes rust. Hammerite No1 Rust Beater provides a high build finish to heavily pitted areas of rust and prevents new rust forming. This rust proofing product kills rust, primes and undercoats all in one. 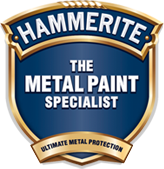 Hammerite Special Metals Primer is a water-based primer to promote adhesion to non-ferrous metals including galvanised and stainless steel, aluminium, chrome, brass and copper. Provides a smooth even finish for ideal top coat adhesion. Only one coat required. Hammerite Kurust transforms rust to a clean surface in 15 minutes. Ideal for small areas of rust, stone chips and scratches. Hammerite Kurust Blister is a water-based rust-converter primer to stabilise rust prior to top coat application. The small blister pack is ideal for small areas of rust, stone chips and scratches.